Beautiful modern 10 month old Chantelle Costume which would suit a 11/13 year old. 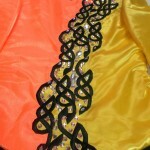 This costume is asymmetrical in design in shades of yellow and orange with black celtic embroidery. 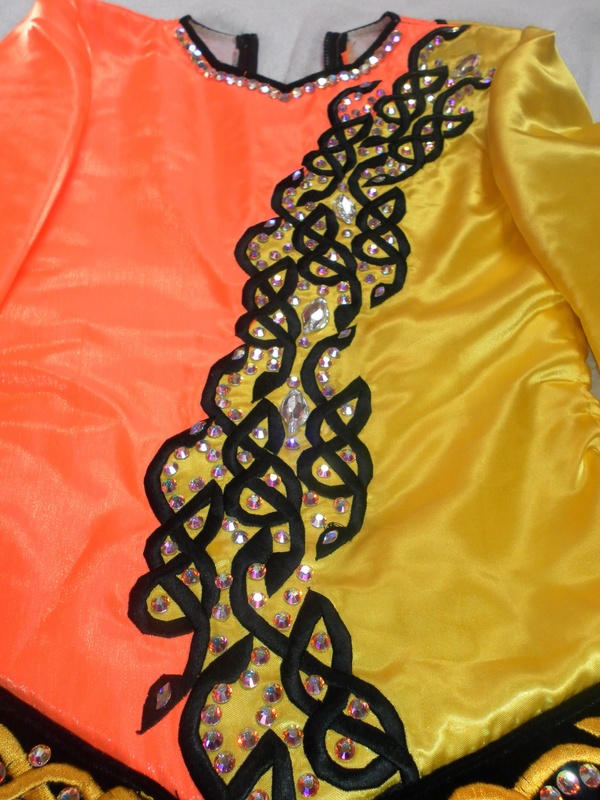 It features a soft skirt with 2 layers of pleated skirt underneath one in yellow and the other in orange which move beautifully when danced. 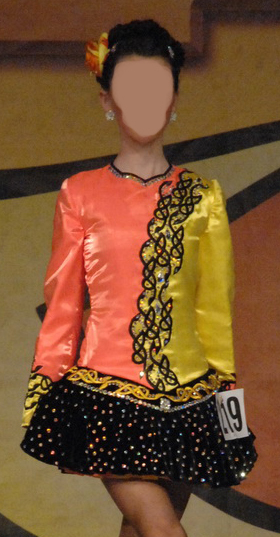 Costume is embellished with various shapes and sizes of genuine Swarovski AB crystals. Additional photos and measurements can be sent on request. All measurements taken while on dancer. Asking Price: €750. Shipping costs included within Ireland overseas shipping extra. Payment can be made through PayPal. Sale in final.